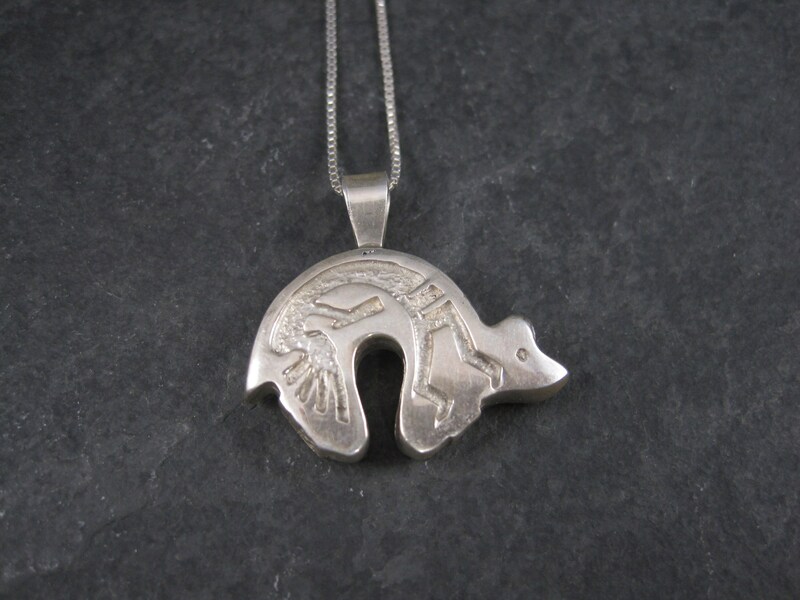 This gorgeous 90s Bear pendant is a creation of the Navajo silversmith Charlie Bowie. 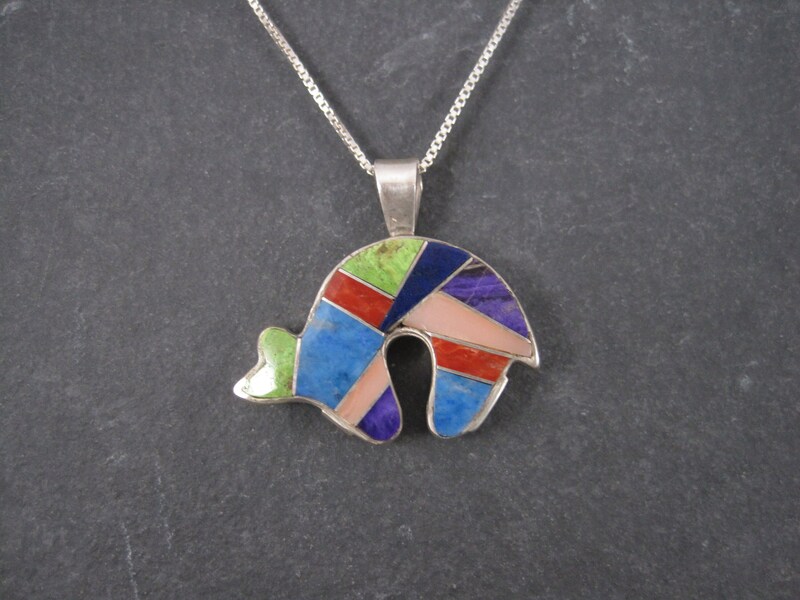 This is a double sided pendant. 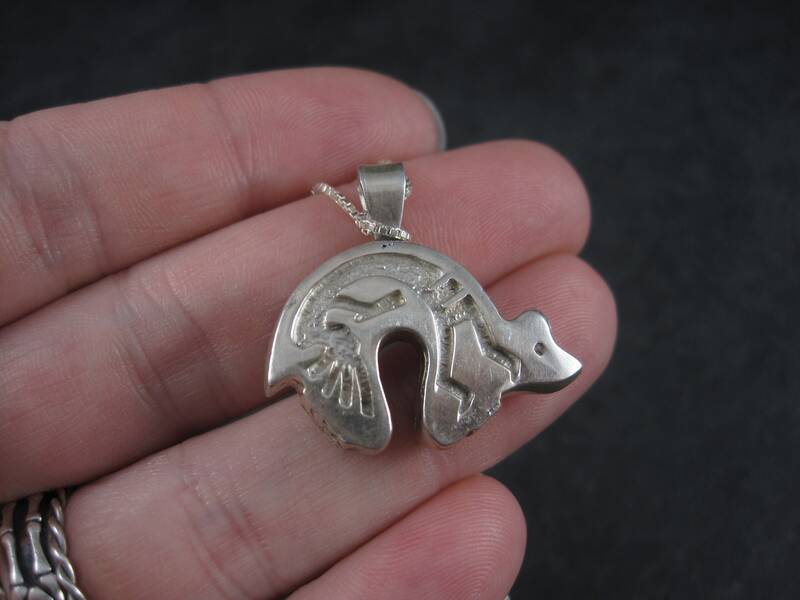 One side features kokopelli. 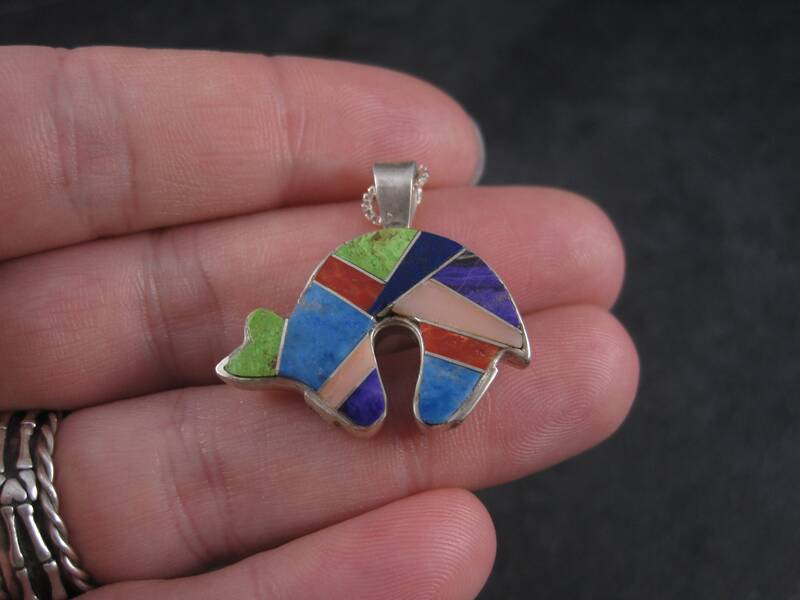 The other side features inlay in spiny oyster, sugilite, denim lapis, lapis lazuli, coral and gaspeite. 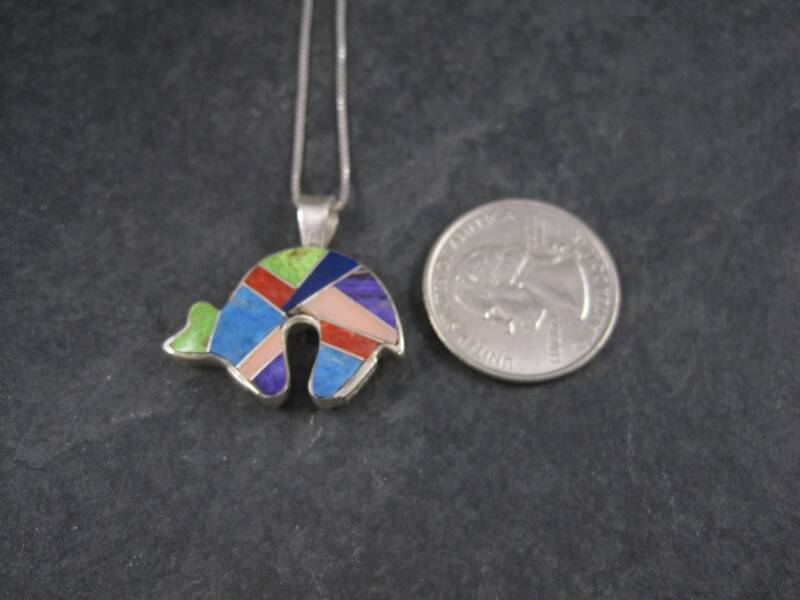 The pendant measures 1 1/8 by 1 1/16, including the bail. 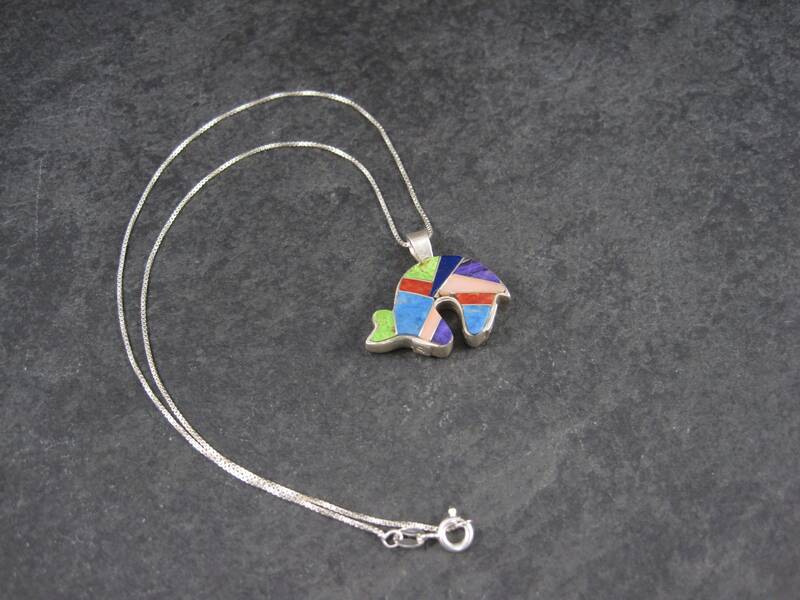 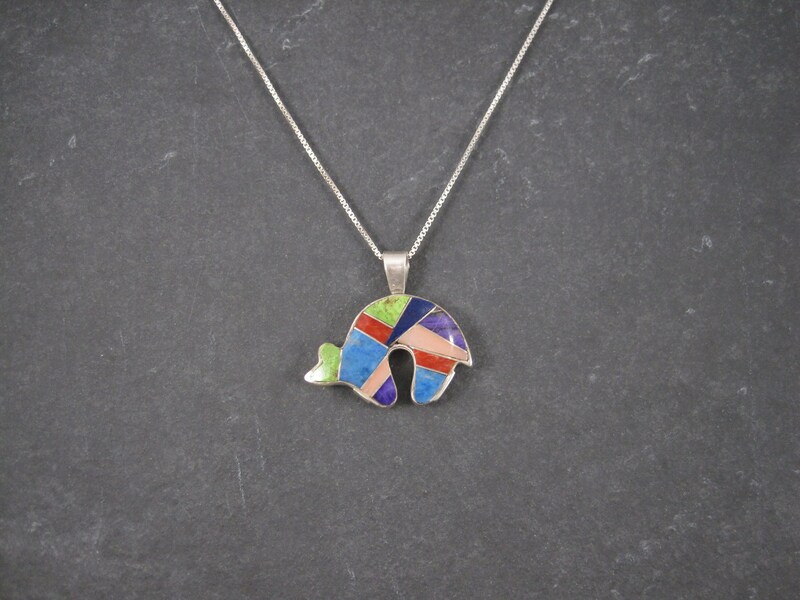 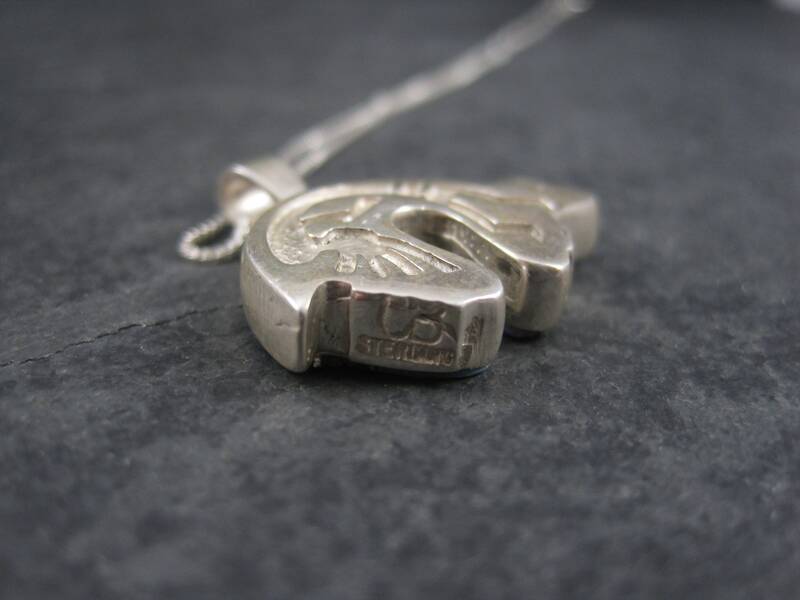 *Also included is an 16 inch sterling silver chain.